This turned out to be an unexpected pleasure. 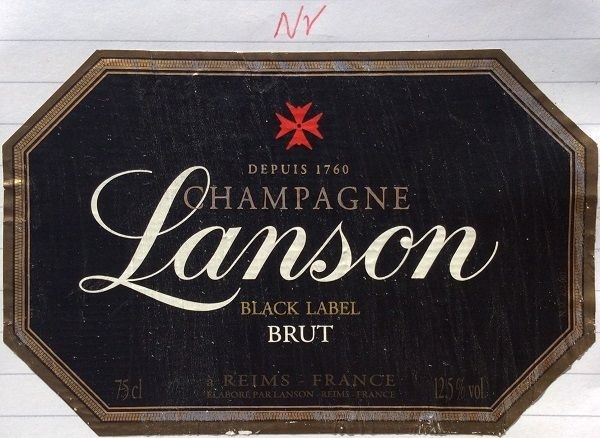 I didn’t have a good impression of Lanson as a Champagne brand, and this was a happenstantial chance to try it. Interestingly the back-label had a disgorgement date – showing an 18 month+ bottle age period – which talking later to Oli may well be the reason for a good showing. Pale lemon / gold, with a quite fine, persistent bead. Medium+ intensity, initially lemon & which peach nose. Then more toasty, biscuit and cream complexity. Appealing. Initially lemony palate, then some grapefruit bitterness at the finish. Medium length toasty, leesy cream finish. Quite elegant. Best quite well chilled.